Accessories are like jewelry for your home. Without them, your home will feel naked & as if something is missing. Check out a few of my favorite budget friendly accessories that I showcased on GMT last Friday. When setting your budget for your room design, make sure to leave ample room for the accessories. 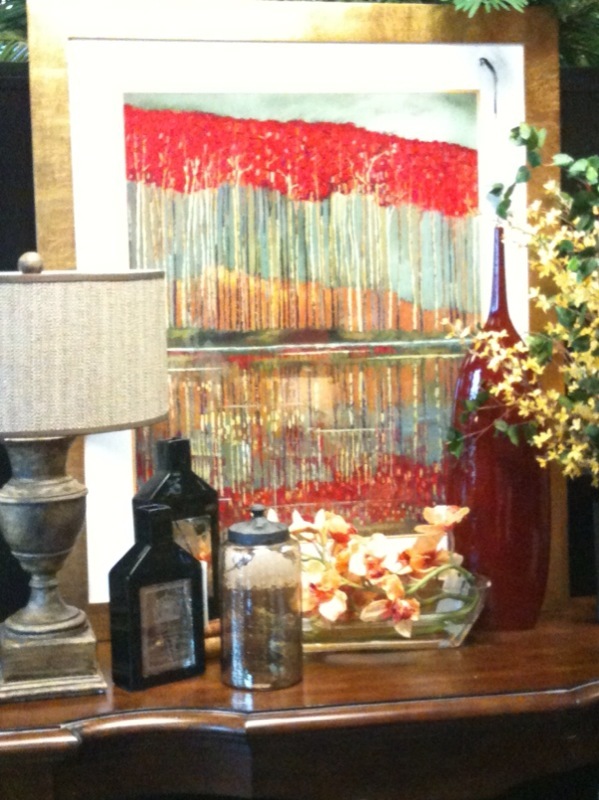 Accessories include rugs, lamps, art & decorative items that help tie your whole look together. A good rule of thumb is to allow 1/3 of your overall budget for accessories. You may end up spending more if you find a few items that you just can’t live without. Or, you may end up spending less if you take your time to find really good deals. Whatever the case, it’s a good idea to set money aside to complete your room’s look. *Pairings & groupings of items can help create balance & symmetry in your room. 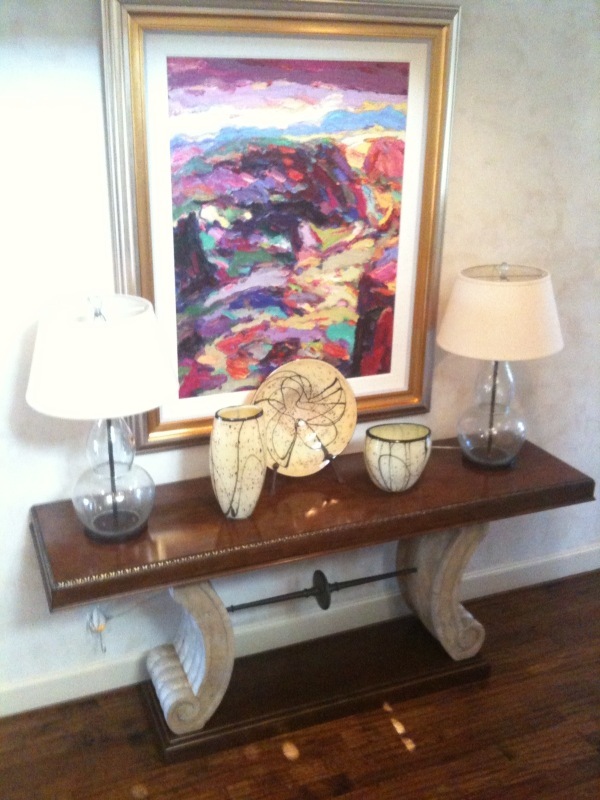 *Remember size & scale: choose items that are in proportion with your furnishings. Small items will quickly get lost on a larger piece & larger items will overwhelm a smaller piece. *Vary the height of items by using books to stack accessories. Height variations add visual interest & allow your eye to peruse the space with a steady flow. *Make it personal: Pick up treasures on your travels that can be used as accessories in your home. Displaying items that are meaningful help tell a story about you & your family in your space. 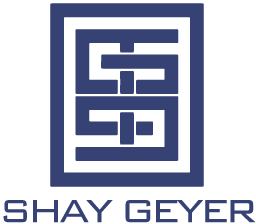 Can you over do it? Absolutely! 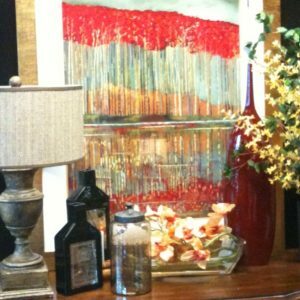 You don’t need to cover every inch of wall or table top space with art & other accessories. Less really is more. Carefully select items that help relate to the color story & style of your room. 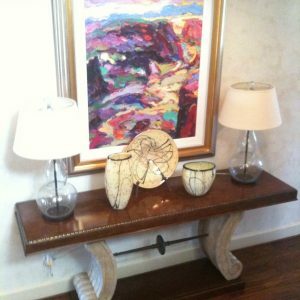 A pair of lamps, a fabulous piece of art & some unique blown glass may be all you need to dress up a console for your entry or family room. *Top photo is from IBB Design Fine Furnishings & bottom photo is from the home of an IBB client.